CityRealty was developed to help you buy the perfect apartment in New York City. Finding an apartment in a city as large and varied as New York can be a complex process, but with the proper guidance and information, you’ll find that it’s not nearly as difficult as some would like you to believe. We’ve sought to simplify the process as much as possible by combining our tremendous amount of unique content with the knowledge and expertise of some of the best real estate agents in New York. We’ve found that the best way to find an apartment in New York is with the assistance of an experienced real estate agent. New York’s real estate market moves very quickly and because agents control access to many of the city’s most desirable apartments, if you’re serious about finding the apartment of your dreams, a real estate agent is armed with exactly what you need to bring your fantasy to fruition. CityRealty has teamed up with a number of the largest real estate agencies in New York in order to give you access to some of the best apartments available in the city. By utilizing these services, you will have access to homes that you would not otherwise be able to see. Please click here to have us contact you about finding a real estate agent and to schedule an appointment to view apartments. For obvious reasons, this is probably the single most important factor. The price of an apartment depends on a variety of factors - size, location, building type, condition and features, among others - so it is critical that you determine your budget at the outset. As most buyers obtain a mortgage to finance the purchase, it is important that you become pre-qualified with an active New York City mortgage lender - please review our mortgage section for more information about the benefits of being pre-qualified. New York City has dozens of neighborhoods, each with its own flavor and personality. A number of factors can effect where you live: you might want to be close to work or your children's schools; maybe being close to a park is important; perhaps being close to great restaurants and cafes is key. The good news is that New York offers something for everyone - if you are not that familiar with the city, please review our neighborhood guide. A buyer in New York has three fundamental choices. Whether he/she should buy property in: a condominium building, a cooperative building or a townhouse/brownstone. There are advantages and disadvantages to each and the choice is always a matter of individual preference. We asked our experienced staff to come up with the list of pros and cons about each one. Here is what they had to say. In a condominium, a purchaser owns the apartment plus a percentage of the common areas of the building. The purchaser takes title by deed, which is recorded in the county clerk's office. If you intend to obtain a loan to purchase the apartment, you will sign a mortgage, which will be recorded in the county clerk's office. In a condominium there is an association that you belong to once you purchase the apartment. The association provides services such as general maintenance to the common areas in exchange for a monthly fee. Because it is real property you will pay your property taxes separately or inclusive with your mortgage payments. Generally your lender will assist you in this area. Because a condo is real property the closing costs are higher than those of co-ops. Whether you own a co-op, or a condo, you may have to pay assessments for any major repairs or renovations. Co-ops and condos may seem similar at first glance, but there are some fundamental differences. A housing cooperative–or co-op association–is a legal corporation made up of shareholders that owns a residential building. Membership in the corporation is granted when you purchase a share in the cooperative by buying a unit. Rather than owning your unit the way you would a condominium, you are, in a way, becoming a tenant. Property taxes are included in monthly fees, a portion of which are tax-deductible. Members screen and select new residents via their elected representatives (the co-op board). You may be familiar with many of the better-known differences between condos and co-ops: The building's approval process, financial requirements and rules are usually more stringent in a co-op, but co-ops generally cost less to purchase. Co-ops comprise a much larger percentage of the city's owned housing units–about 75 percent, though this number is falling as many new condos and virtually no new co-ops are being constructed. Co-ops have a history of being the upper-echelon choice in highly-sought-after Manhattan neighborhoods like the Upper East Side and Upper West Side. If you're looking for elegant old-world architectural details, know that many of the city's classic pre-war buildings are co-ops–and rare condo conversions of pre-war apartment buildings tend to be very expensive. Whether a co-op would suit your needs depends on what you're looking for in an apartment. If you're seeking a space with pre-war details in one of the city's pricier neighborhoods, a co-op is where you'll find it. If you're looking for a place to call home and put down roots, or If it's important that the building be intimate and that your neighbors care about their surroundings, it may be more likely that you'll find like-minded neighbors in a co-op. If you're a foreign buyer, hope to buy with a very low down payment, plan to use the unit as a pied-a-terre or rental investment or hope to sell at a profit within a short time, you may find yourself frustrated in the co-op market. Co-ops are usually cheaper to purchase than condos (about 9 percent less expensive after factoring in size differences). There are more of them: Co-ops make up a much larger percentage of the city's owned housing units (around 75 percent). There are many more pre-war co-ops available than condos. Co-ops have slightly lower closing costs; title insurance isn't needed and and there is no mortgage recording tax. A thorough vetting process and stricter financial requirements mean more financial stability, especially in market downturns. The vetting process and restrictions mean more owner-occupied units and less turnover, which can prevent problems like a revolving cast of renters, illegal Airbnb use and other potential disruptions. A portion of monthly maintenance fees are tax deductible. Co-op shareholders are also considered tenants of the co-op, which gives them legal protections under New York City landlord-tenant law. The approval process and building rules are usually stricter in a co-op, and potential buyers can be rejected without having to provide a reason; condo boards can't legally reject potential buyers. Co-ops generally require buyers to make a down payment of at least 20 percent of the purchase price, sometimes as much as 50 percent or more; some exclusive buildings don't allow financing at all. Co-ops also have liquid asset requirements and may ask buyers to meet a debt-to-income ratio and have an excellent credit score. Stricter financial requirements mean you'll be asked to share more personal financial information. Limits on subletting, purchasing for others and pieds-a-terre mean co-ops are not a good choice for investment buyers who don't plan to live in the building or who are looking for short term ownership. Monthly maintenance fees are generally higher for co-ops than for condos, as a share of the property tax and possibly payment toward an underlying mortgage are included. The purchasing process generally takes longer. Most new developments (1980s and later) are condos; if new is what you're looking for, you'll likely have to go condo. Co-ops are more more difficult for foreign buyers to purchase as they often don't have the necessary records from a U.S. bank, and co-ops do not to allow anonymous purchasing by LLCs. Townhouses and brownstones are freestanding 2-5 story buildings often constructed before the war. Brownstones are more elegant, featuring elaborate decorative facades and many other architectural details inside. Townhouses tend to be plainer with somewhat smaller living spaces (although be careful as the terms are often used interchangeably). These types of buildings are traditionally occupied by families or well-established individuals who prefer the more private and comfortable living environment. The actual buildings can vary from narrow and low-rise two unit row houses to large and elaborate brownstones that if not divided into units can have a living area of up to 10,000 sq. ft. Similarly the prices of these types of buildings differ dramatically depending on location, size, condition as well as their legal status. Quite simply, it is very difficult to find the ideal apartment without a real estate agent / broker. The Manhattan market is large and complex and moves very quickly; trying to navigate it on your own is a formidable challenge. Brokers live and breathe the market - most buyers purchase an apartment every few years (at most), while brokers are buying and selling every day. Thus, the experience and knowledge they bring is invaluable and impossible to get elsewhere. As useful as we like to think the content in our website is, it is meant to be used in conjunction with the expertise of an experienced real estate broker. Always remember that when buying an apartment in New York, you are competing against hundreds, if not thousands, of other buyers who are looking for almost exactly what you are. By working with a single broker whom you trust and with whom you are comfortable, you will give yourself a competitive advantage over those who are not using a broker or those who are using several brokers. Of course, this also means that if you are not using a broker or, even worse, if you are using multiple brokers, you will be at a competitive disadvantage versus those buyers that have a great relationship with a single broker. Thus, once you have a good idea of what you want, your first goal in finding the perfect apartment needs to be finding the right broker. 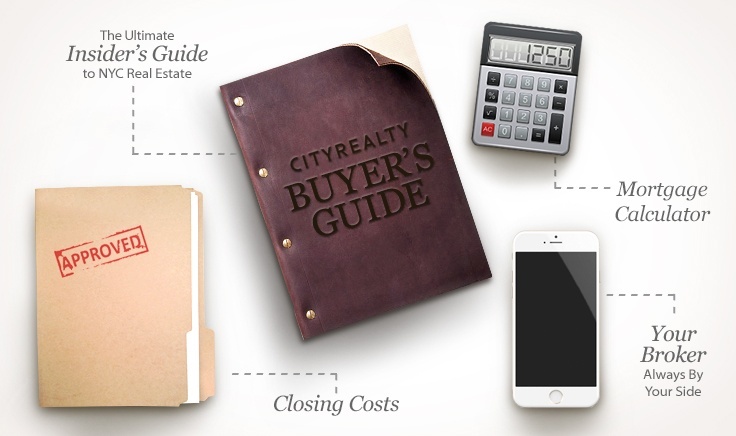 Understanding this, one of the key services CityRealty provides is to connect you to a broker that will be best able to help you. Please click here to have us find the perfect broker for you. Real estate agents and brokers (there is a difference between the terms agent and broker, though they are often used interchangeably) serve a critical role in the market, representing either the buyer or the seller in the transaction. Thus, in most transactions there are two agents: one representing the buyer and the other the seller. Some agents specialize in working with buyers while others focus on representing sellers and some do a bit of both. Some agents specialize in particular neighborhoods or buildings while others cover the entire city. Apartment ads in the newspaper or on most websites (though ours works a bit differently) are placed by the agent representing the seller. If a buyer contacts them directly, they have a fiduciary responsibility to represent exclusively the interests of the seller. Therefore, they cannot represent your interests, at least in a transaction involving the advertised apartment. As a result, traditionally it has been difficult for buyers to find an agent who will serve the buyers needs and this is why we have created our service - to help buyers connect with an agent who will work on their behalf. In most cases, both agents (i.e. the one representing the buyer and the one representing the seller) are paid a commission from the seller - rarely does a buyer directly pay any fees to an agent. As a result, there is no additional cost to you (as the buyer) in using a real estate agent. Therefore, considering all of the additional benefits you will realize by working with an agent (see above) there is no reason not to use one. As with any transaction or business service, in real estate one only wants to work with serious participants. Sellers and their brokers do not want to show their apartment to people who are not prepared to buy. If you are not currently prepared to buy, that is fine - simply let us and your broker know so that we can better serve you. Broker loyalty (i.e. only working with a single broker) is an important factor in finding a great apartment. Most brokers work incredibly hard to find you that perfect apartment. They are motivated to do this in the hopes that if they are successful, a transaction will be consummated at which time they will be compensated for their efforts. If you give a broker reasons to suspect that a transaction is not going to occur (i.e. if you are working with other brokers or are not serious about buying an apartment), he/she naturally will be less inclined to invest the time required to find your dream apartment. As a result, you will be putting yourself at a competitive disadvantage versus other apartment buyers as your broker will not be as motivated as those brokers whose buyers are committed to both them and to buying an apartment. The best thing you can do is to work exclusively with a single broker and make sure they understand that you are committed to working with them. Of course, the goal here is for you to find the perfect apartment, so if you are not comfortable with the broker you are working with or otherwise question his or her ability to find what you are looking for, you should let us know so that we can discuss this with the broker and, if necessary, find a more appropriate broker for you. You will have a better understanding of the actual price range that you will be able to afford, thereby allowing you to focus your search. Often, buyers can actually afford more than they initially believe and therefore they waste time looking at apartments that do not actually meet their criteria. Due to the competitive nature of the market, when you make an offer and if it is backed up with a pre-qualification from a recognized mortgage lender, the offer will then be much stronger than others from buyers who are not pre-qualified. In other words, by being pre-qualified you are giving yourself a competitive advantage over other buyers. Of course, this also means that if you are not pre-qualified, you are putting yourself at a competitive disadvantage vis a vis other buyers. Once your offer is accepted, having been pre-qualified will speed up the closing process. If you had not been pre-qualified, it is possible that various surprises might pop-up and threaten the deal. Do not get hung up on apartments that you see on this website (or any other website or newspaper). The odds of you buying the specific apartment you inquired about on-line are very close to zero. Treat the apartment information on this site as a starting point and use the extensive building information to become more familiar with the market. Unfortunately, apartments are not updated as frequently as they should be. We have little control over this but it is a fact of the market. We hope that in time this situation will improve, though today the best way to obtain accurate apartment information is to consult with your real estate agent. DO work with a single, dedicated broker whom you trust and are comfortable with. When you work with multiple brokers, no single broker will put in 100% of the effort required if they believe that you aren’t committed to him or her. DON'T view 20 apartments only to decide that you’re not ready to move. Brokers spend a considerable amount of time scheduling viewings and don’t get paid for this service. If you’re unsure of whether you are ready to buy, disclose this to your broker—along with the reasons for your uncertainty—and they’ll be able to help you accordingly. Your broker will be less inclined to help you if you don’t disclose this until after the process has begun. DO submit a realistic bid. Though every apartment is negotiable and every transaction should be negotiated, there is a certain point at which a very low bid can be embarrassing to both you and the broker. If you are contemplating putting in a very low bid because you can’t afford a higher one, please make sure your broker knows this and he or she can find more appropriate apartments for you. DON'T obsess over getting a "great deal." Buying an apartment isn’t about getting a great deal, but finding an apartment you'll look forward to coming home to every evening. As we all know, New York can be a stressful environment, and being able to escape it all by coming home to an apartment you love is really priceless. DO make sure you’ve been pre-qualified with a mortgage lender that is familiar with the Manhattan market. DO be prepared to act quickly. The NYC market moves fast and can be competitive. You need to be prepared to purchase. DON'T take the process casually. Focus on buying and be realistic about the market. You need to have a good idea of what you want. DO always communicate with your broker. Remember that they are on your side and they can only help you if you’re in touch with them. Promptly return all phone calls and emails, as you would expect the same courtesy. Below are some practical terms and definitions you might come across when looking for an apartment in New York City. Some of these may be used differently in other parts of the country so please make sure you familiarize yourself with them and avoid any unnecessary confusions. The amount of tax or special payment due to a municipality or association. This is applicable in condo buildings and co-ops where assessments can often amount to significant monthly expenses. Regulations established by local governments describing the minimum structural requirements for buildings. Codes include foundation, roofing, plumbing, electrical, and other specifications for safety and sanitation. Promises written into deeds and other instruments agreeing to performance or nonperformance of certain acts and/or requiring or preventing certain uses of the property. A conveyance of real estate to a third party to be held for the benefit of another. Trust deeds are commonly used in some states in place of mortgages that conditionally convey title to the lender. An instrument that transfers title from one party (grantor) to another party (grantee) without providing public notice of change in ownership. Recording is essential to protect one's interest in real estate. A deed that contains a covenant that the grantor will protect the grantee against any and all claims. It usually contains covenants assuring good title, freedom from encumbrances, and quiet enjoyment. Any right to or interest in land that affects its value. This includes outstanding mortgage loans, unpaid taxes, easements, and deed restrictions. A separate bank account segregated from a broker's own funds, in which the broker is required by state law to deposit all monies collected for clients. All property that is not realty. Property that is movable, not fixed to land; also called chattel. An instrument authorizing a person to act as the agent of the person granting it. The rights to use real estate. Sometimes also defined as real estate. Evidence that the owner of land is in lawful possession. Evidence of ownership. A title free of any clouds, liens, or other possible interests against it. A fake title that appears to be good but is not in reality. Cloud on the title–An outstanding claim or encumbrance that, if valid, would affect or impair the owner's title. A history of conveyances and encumbrances affecting a title from the time that the original patent was granted, or as far back as records are available. A historical summary of all of the recorded instruments and proceedings that affect the title to property. Title insurance–insurance policy that protects the holder from loss sustained by defects in the title. A document indicating the current state of the title, such as easements, covenants, liens, and any defects. The title report does not describe the chain of title. A tax paid upon the passing of title to property or to a valuable interest.